I have some nori sheets left in the fridge and I know that I won’t be making sushi any time soon and these are the remnants from making the seaweed rolls last month. So not wanting to store them too long in the fridge, I decided to use them for making Nori Seaweed Muffins. 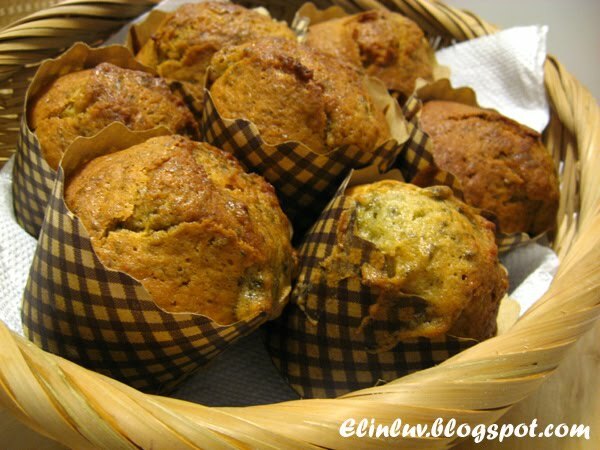 After reading this recipe from Angie’s blog - Angie’s Recipes…my online recipe book :p , I was wowed by her Nori Seaweed Muffins and I told myself that I must try it out. I have used nori in sushi, in soup, in tofu , in fish paste rolls and in biscuits but in muffins!...this is the first :) a fusion muffin ! 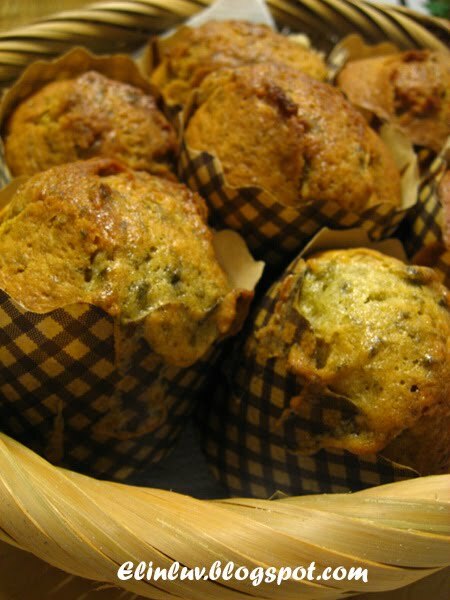 :))It turned out really good…the fragrance of nori seaweed makes the muffins delectable . 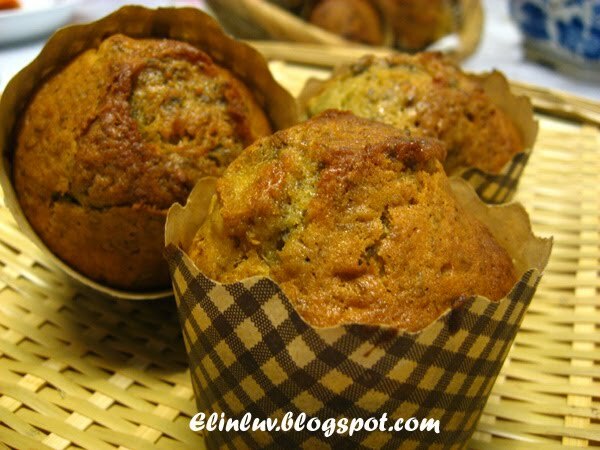 Thumbs up for this muffin....something different and good for kids too.. lots of goodness in it. 1. Soak the seaweed , drain and set aside. Sift together the cake flour, baking powder and baking soda. 2. Blend the eggs , sugar , salt and honey together. Add the flour mixture to the egg mixture. mixed till all combined. 3. Add in melted shortening and seaweed to become the cake batter. 4. Spoon the batter to the greased muffin cups, 80% full and bake at 175 ° C/350F for 20-25 minutes. 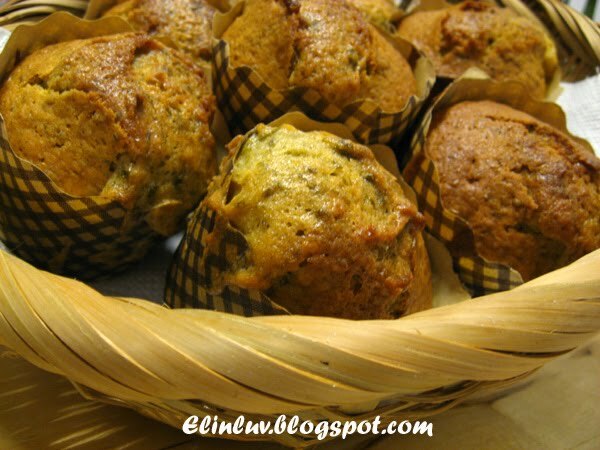 they like my kitchen best "
These muffins look very good!